In the previous article "The Four Million Number of Auschwitz: Origin, Revisions and Consequences," I described how Franciszek Piper, head of the history department at the Auschwitz Museum, let himself always be guided by political and ideological opportunism. During the time of the communist regime he accepted the four million figure faithfully and blindly according to the party instructions, but as soon as the regime broke down he freed himself from the rubble of the Soviet propaganda and published a pretentious 'scientific' piece with the title The Number of Victims of Auschwitz. This study was highly regarded by official historians. In the following article I shall show what its real value is. F. Piper investigates the extent of the Jewish transportations to Auschwitz from the various countries and summarizes the results in tables, in which he enumerates the corresponding transports (p. 182-198). On page 199 he then represents the final result of his summaries. In this section the veracity of these conclusions will be checked in detail. Number of deportees: 438,000 (p. 182 and 199). A total of 437,402 Jews were deported from this country between May and July 1944; of these, however, at the most 398,400 arrived in Auschwitz according to current knowledge. Therefore, the number quoted by F. Piper is too high by 39,600. These transports are pure inventions; there is not the trace of an indication of these in the existing documentation, and in her Auschwitz-Kalendarium Danuta Czech cannot furnish the slightest proof for the reality of these transports. The transports marked by me with a "G" are mentioned in the well-known Atlas of the British-Jewish historian Martin Gilbert, a study without any sources, which therefore has no historical value at all, because it is impossible to separate reality from fantasy. "This is the 12th Sonderaktion, in which Dr. Kremer participates. (Auschwitz in den Augen der SS, op. cit. Diary Kremers, p. 232)." "This is the 13th Sonderaktion, in which Dr. Kremer participates. (Auschwitz in den Augen der SS, op. cit. Diary Kremers, p. 232)." "November 8, 1942. Participated tonight in 2 Sonderaktionen[] in rainy gray fall weather (12. and 13.)" Dr. Kremer neither mentions the arrival of those two transports nor the number of admissions, and both cases are therefore pure inventions by D. Czech. "Jews from the concentration camp Lublin (Majdanek) arrived. 25 men were assigned as inmates to the camp; the others (number unknown) were gassed". In other words: D. Czech never had in her possession any proof for the arrival of the two mentioned transports in Auschwitz, and therefore these are to be categorized as pure inventions. The same is true for the transport of 2,500 Jews from Chrzanów on February 18, 1943, for which Pipers again quotes Gilbert's Atlas. The transport with 4,000 Jews from Łomża of January 14, 1943 is not even listed in D. Czech's Kalendarium. The same for the transports with 1,000 Jews from Czestochowa on June 25, 1943, with 5,000 Jews from Tarnów on September 2, 1943, with 3,500 Jews from Przemyśl on September 2, 1943, with 1,000 Jews from Rzeszów in November 1943, with 600 Jews from Borysław on March 28, 1844, as well as finally with 700 Jews from Borysław on June 22, 1944. Thus, the second group of transports comprises a further 20,300 fictitious deportees. An even more characteristic example for F. Piper's methods is the case of Lodz. The subtotal of his table about transports of Polish Jews to Auschwitz is 225,464 deportees. This table lists, among others, 11 transports from the ghetto of Lodz, to which F. Piper assigns an - incomplete - number of 4,818 deportees. He then adds further 55,000 to 65,000 Jews sent to Auschwitz from this ghetto for August and September 1944 and arrives thus at the already mentioned total number of 300,000 Jewish deportees who arrived from Poland. However, subtracting the subtotal from the overall total results in (300,000 - 225,464 =) 74,536 deportees. To these the 4,818, which were already included in the table, have to be added, which results in 79,354 Jews who were sent to Auschwitz from Lodz, but Piper specifies their number between 60,000 to 70,000, so that the resulting number from his table is 9,354 higher than the maximum number stated by himself. But this difference is not decisive; the reality actually looks quite different. As I described in my article "The Evacuation of the Ghettos of Lodz and the Deportations to Auschwitz (August 1944)", the number of the Jews sent from Lodz to Auschwitz is approximately 22,5000, which shows that F. Piper pulled a further 56,854 deportees out of his hat. In summary, the number of the Piper's fictitious Jewish arrivals from Poland is therefore (35,130 + 20,300 + 56,854 =) about 112,300. Number of deportees: 69,114 (rounded to 69,000) (p. 187f.). Piper's source for this is the known documentation of Serge Klarsfeld, in which the number of the French Jews deported to Auschwitz is listed as 68,921. However, F. Piper did not consider the Jews, which were selected in Kosel, whose number according to Klarsfeld was between 3,056 and 4,000 (so we can use a average of 3,500). Therefore the number of Jews who arrived in Auschwitz is about (68,921 - 3,500) =) 65,400, and the number listed by Piper is too high by (69,000 - 65,400 =) 3,600. Number of deportees: 60,085 (rounded to 60,000) (p. 189f.). In this case as well, Piper ignores the Jews who were sorted out in Kosel, numbered by the Dutch Red Cross at 3,540. Number of deportees: 54,533 (rounded to 55,000) (p. 191 an 199). In the corresponding table, a transport with 2,500 Jews is listed, which arrived on August 16, 1944, from the Island Rhodos. But the same transport also appears in the table for Italy, except that the date of arrival is here July 23, 1944, and the number of deportees is listed as 1,805. As the Italian historian Liliana Picciotto Fargion explains, a transport with 1,820 Italian Jews left the Dodekanes (Rhodos and Koo) on July 23, 1944, made an intermediate stop in Athens on August 3, and arrived in Auschwitz on August 16. F. Piper counts it, as we have seen, twice and gives a different number in each case. This transport has to be counted under Italy, since at that time those islands were Italian territory, and the number of deported Jews from Greece has to be reduced by 2,500. Number of deportees: 46,099 (rounded to 46,000) (p. 192). According to the memorial book of the ghetto Theresienstadt, 43,454 Jews were transferred to Auschwitz between 1942 and 1944, so that Piper's number is too high by approximately 3,400. Number of the deportees: 10,000 (p. 196 and 199). For the transports from Zagreb on May 7 and 13, 1943, F. Piper counts a total of 4,000 deportees, while D. Czech tallies these to 2,000. This means that F. Piper had 2,000 deportees up his sleeve. Number of deportees: 24,906 (rounded up to 25,000, p. 197 and 199). Piper's source is a book by Maxim Steinberg, which actually mentions 24,906 Jews deported from Belgium to Auschwitz, but also mentions that 1,380 of these were sorted out in Kosel. Therefore, Piper lists an excess of approximately 1,400 deportees. Number of deportees: 7,422 (rounded to 7,500) (p. 109f.) 5,951 Jews were sent from Italy to Auschwitz, to which 1,820 Jews from the islands Rhodos and Koo (Dodekanes) have to be added. Therefore the total is 7,711 and Piper's number is too low by 300. Number of deportees: 34,000 (p. 199). Piper simply lists here the number without specifying the origin and number of transports. According to D. Czech's Kalendarium the number of deported under this category is about 12,500, to which 7,500 Jewess are to be added who arrived from Plaszow on August 6, 1944, as well as 1,400 Jews who also came from Plaszow on May 14, 1944. This results in a total of 21,400. Under these circumstances, Piper's number is too high by 12,600. In summary: F. Piper invented at least 180,600 Jews allegedly deported to Auschwitz. Thus, 180,600 have to be subtracted from his total number of 1,095,190 Jewish deportees as listed in his table 28 on p. 199, and the actual total is about 914,600, of which about 205,000 were registered (p. 103). 3. The Number of Registered, Non-Registered (Accommodated in the Birkenau Transfer Camp) as well as of Allegedly Gassed Deportees. Adding in the re-education prisoners to this results in a total of 198,142 survivors. According to Piper, the "25,000 non-registered prisoners who were transferred to other concentration camps after a brief stay in the KL Auschwitz" (p. 163f. ), have to be added to this total. This would therefore yield a total of about 223,000 survivors. Under these circumstances, the number of dead according to Piper would be (1,300,000 - 223,000 =) 1,077,000, but Piper rounds it up to a total of 1,100,000. The total number of 1,300,000 deportees to Auschwitz as listed by F. Piper includes also groups of non-Jews, which were - according to his allegations - murdered in the camp without registration: 3,000 Soviet POWs, 1,700 gypsies, 10,000 Poles (p. 149f. ), which is a total of 14,700, rounded up to 15,000 (p. 200). With the exception of a few dozen Poles, however, there is absolutely no documentary evidence for these allegations, so that these allegedly non-registered killed can be banned into the realm of fantasy as well. 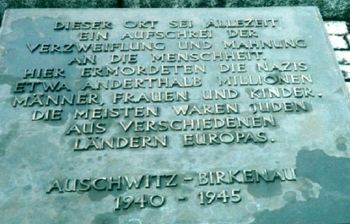 "Between May and October 1944, several tens of thousands, most probably up to one hundred thousand Jewish prisoners went through the Birkenau camp without registration". And finally F. Piper considerably underestimates the number of the Jews who were transferred out of Auschwitz in 1944 as well as in early 1945, because in reality this number was not less than 192,300 prior to January 17, 1945. At that time, there were still 67,000 prisoners in the camp; about 58,500 of them were transferred and 8,500 remained. For this period, F. Piper calculates 21,000 dead. Since the - incomplete - documentation begins on July 29, 1941 (death certificate No. 1 of the inmate Peter Pakosch), F. Piper relies for his calculations on the difference between the numbers of registered inmates on one hand and those who were actually present, escaped, or had been dismissed on the other hand. A more exact calculation, which I will publish later, results in 19,500 victims during this period, including the Soviet POW's. F. Piper says that the highest registration number, which appears in the (incomplete) last "Sterbebuch" (death book) of 1942, is 45,616. It was assigned to the female inmate Erna Haubenstock on December 31 of that year, but the document shows that this woman died on December 23. Since this "Sterbebuch" listed as an average 128 deaths per day, it stands to reason, according to F. Piper, that until December 31 1,000 more prisoners died and that the total number of dead according to the death books therefore is about 47,000 (p. 156). The highest registration number of a dead inmate is 47,020 (Jewish inmate Jacques Caufman). Not included in this number are 1,427 Soviet POWs who perished in 1942, whose death is separately listed in the "Totenbuch" (book of the dead). From the opening of the camp until December 31, 1942, ca. 126,000 inmates were registered. Of these, 29,630 were still in the camp on January 1, 1943, and therefore about (126,000 - 29,630 =) 96,500 were missing. Of these, some 23,500 disappeared in the two previous years 1940 and 1941, and in 1942, 2,916 were transferred to other camps; 48 had escaped and 997 were discharged. Under these circumstances, Piper calculates that a total of about (96,500 - 23,500 - 2,916 -48 - 997 =) 69,000 prisoners died in the year 1942, about 22,000 more than were listed in the "Sterbebücher." "Because of my access to the files I can estimate that there were about 48,000 natural deaths in the camp in 1942. The natural deaths of Jews were not listed in 1943, however, the files of about 35,000 deaths of non-Jews were kept. The number of natural deaths of non-Jews in 1944 were about 30,000" (p. 227). "'not natural' deceases - these inmates were killed in the gas chambers and with phenol injections." (p. 158). "Most death causes, as can be found in the death entries, were feigned. In order to cover up the true circumstances of the deaths of the Auschwitz inmates the clerks had instructions to choose possible reasons for the deaths from a prepared list." "Among the 68,864 death entries are 2,727, where 'sudden heart failure' is mentioned as the cause for death. In several of these cases it can be shown that these were unnatural death causes." Thus, according to T. Grotum and J. Parcer, the 'non-natural' deceases were listed in the death books, either explicitly or implicitly, with false entries for the cause of death. On the other hand, the number of examples mentioned by them is so small that their allegation that "most causes of death" were false is not justified. It can be assumed that, if manipulations occurred, they were initiated by the desire to bypass the rigid bureaucratic routine, which was laid down in the regulations for the concentration camps in 1941. According to it, the following documents had to be prepared in duplicate "in cases of unnatural deceases and suicides:"
1 Termination certificate of the SS- and police court. It may be that the individuals responsible in some cases thought that it would be easier to bypass the bothersome bureaucratic paperwork and to list a false cause of death instead. In view of these facts the thesis of F. Piper has to be discarded as being unsound. Because, as is common knowledge, the documentation about Auschwitz is incomplete, there is no reason to assume that the numbers of transferred, escaped, and released prisoners are complete, as they are listed by F. Piper with reference to D. Czech's Kalendarium. For example: D. Czech listed less than half of the actual transfers from Auschwitz to other camps for the year 1944. For this reason, the exact opposite of F. Piper's assertion is true: Because all death were entered into the death books, the missing 22,000 inmates did not die in the camp but belong to the other three categories, mainly of course the one of transfers. F. Piper indicates that the highest registration number in the last death book of the year 1943 is 36,991 and was assigned to the inmate Zelik Gieclik, who died on December 18. Because the average daily mortality during that period was about 105, 1,400 further inmates can be assumed to have died until December 31, so that the total number of deceased for 1943 is to be estimated at over 38,000 (p. 160). However, this calculation is erroneous: While the last death book of the year 1942 (No. 31) only partly survived, this is not the case for the last death book of 1943 (No. 25); this one is complete, and the apparent discrepancy is because the numbering of the registrations was not handled in strict chronological order. The relevant death book actually covers the period until December 31, 1943, and the highest listed number of a deceased is 36,983; the dead is the inmate Stanislaw Domanski. However, this allegation cannot be backed by documents in any way either, and F. Piper's hypothesis that Jewish inmates who died a natural (or unnatural) death could have disappeared without a death certificate (or with a falsified entry of the cause of death) from the camp's population, is simply wrong. F. Piper again took refuge in a awkward method of calculation in order to account for the difference between the number of dead as claimed by him and those listed in the death books. He emphasizes that ca. 282,000 prisoners were registered until the end of 1943, of which 85,298 were still in the camp on December 31, 1943, so that ca. 197,000 inmates were missing. Of these, he writes, about 96,500 disappeared in the previous years (1940 to 1942). In 1943, 19,859 prisoners were transferred to other camps and 139 escaped, so that the number of perished inmates in that year (197,000 - 96,500 - 19,859 - 139 =) is about 80,500 (p. 160ff. ), which would be some 43,500 above the documented number. In reality, it is likely that most of these inmates were transferred to other camps. "the number 30,000 refers only to non-Jews and only to inmates who died of a 'natural' death." In order to explain this contradiction, F. Piper resorts to the idea of a general falsification of the "Sterbefalldokumentation" (death case documentation), allegedly used by the SS for reasons of camouflage. This 'explanation' is simply nonsense, because if it is true that in 1944 a total of 30,000 prisoners perished, and if it is further correct that in the same year 30,000 inmates were gassed, it has to be concluded that in 1944 not a single inmate died of a natural cause, which of course is radically impossible. Furthermore, F. Piper almost criminally underestimates the number of those, who were transferred or evacuated from Auschwitz. Because if the approximately 8,500 inmates, who stayed in the camp until the Red Army arrived, are allowed for, the actual number is about 250,000 and definitely not just 188,888 (163,000 registered as well as 25,000 non-registered). The population of the camp on December 31, 1943, was 85,298. 114,500 inmates were registered in 1944, while 98,600 went through the transfer camp in Birkenau. During that year, at least 250,800 prisoners were transferred or evacuated, 300 escaped, and ca. 8,500 stayed in the camp until the end. Of these, 536 died, and their corpses were autopsied by the Soviets. Under these circumstances, the number of those who died in the camp cannot have been higher than about ([85,298 + 114,500 + 98,600] - [250,800 + 300 + 500 + 8,500] =) ca. 38,500. The order of magnitude of this number is in agreement with the one mentioned by Klari Weiß. The numbers of Klari Weiß agree, by the way, quite well with those documented, thus they can be considered reliable. Incorrect, of course, are her statements about the categories to which the deceased should be listed. The reason for her incorrect statements in this respect can be understood easily. 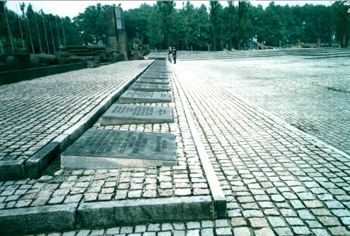 In the verdict of the Höß trial, the allegation was arbitrarily made that 300,000 registered inmates died or were killed in Auschwitz, so that Klari Weiß could, of course, not testify during the later Cracow trial against the camp personal that 'only' as many inmates died as were registered in the death books; she had to maintain that there were additional cases of death besides those registered. "More than 400,000 inmates, listed in different registration series, arrived in the camp Auschwitz. Of these, 340,000 died in Auschwitz and other camps, to which they were transferred." But if this statement is interpreted wrongly, than nobody else is responsible for this than F. Piper, since he himself claimed in 1978 that "about 340,000 of the registered inmates - men, women and children" died or were killed in Auschwitz. The number of deportees to Auschwitz is about 1,111,100; of these 914,600 were Jews and 196,500 non-Jews. About 401,500 prisoners were registered in the camp; of these about 205,000 were Jews, the rest non-Jews. The number of Jews who were assigned to the "Durchgangslager" (transfer camp) of Birkenau and then transferred to other camps is not less than 98,600. At least 250,800 prisoners were transferred or evacuated in 1944 as well as in January 1945. The total number of released, escaped, and transferred inmates as well as inmates liberated by the Soviets is at least ([401,500 + 98,600] - 135,500] =) 364,600. A total of not less than 500,100 prisoners were admitted to the camp, of these ca. 401,500 were registered and ca. 98,600 were quartered in the transfer section of Birkenau. It is hardly necessary to emphasize that neither F. Piper nor any other historian has ever furnished even a trace of evidence for the gassing of the non-registered inmates, who are by and large probably identical with those unable to work. On the other hand, it can be proven without any doubt that two of the most widely exploited alleged gassings - the one of the Birkenau gypsy camp in Birkenau (2,897 inmates) as well as those of the inmates of the ghettos of Lodz (66,900 inmates) - were actually historiographic falsifications. Not a single one of the other alleged gassings can be backed up with documents. It is furthermore a fact that until 1989, official historiography considered at least 79,200 non-registered Hungarian Jews, who were assigned to the transfer camp, as 'gassed.' F. Piper, however, still counts (79,200 - 25,000 =) 54,200 of them as gassed! As far as the fate of the 611,000 missing Jews is concerned, there are various documents indicating that they were deported further to the east. Reichsminister Albert Speer talked about this in this connection with specific reference to Auschwitz in an important document of the "Ostwanderung" (eastward migration). In the first part of this article, I emphasize that an investigation of the number of victims of Auschwitz from a technical point of view must necessarily lead to a radical reduction of those allegedly 'gassed' in that camp. The currently accepted number of 1.1 million victims, as published by F. Piper, will doubtlessly be thrown into the garbage can of history very soon, as happened to the Soviet propaganda number of four million. In fact, Piper's number and the number accepted by official history were already drastically reduced by Jean-Claude Pressac and Fritjof Meyer. These reductions are without question a direct consequence of revisionist research. Jean-Claude Pressac starts with 667,200-747,200 Jews who were sent to Auschwitz; he lists the number of dead among the registered camp inmates as 161,000 (including 15,000 Soviet POW's and 20,000 gypsies) and believes that there were 470,000 to 550,000 non-registered Jewish gassed. "It appears that the number of Jews per transport (2000 to 3000) -poorly estimated by the eye witnesses - was doubled." Although Pressac uses an untenably high cremation capacity (the actual maximal capacity of crematoria III and V together was about 460 corpses per day), he uses a typical revisionist, technical argument and therefore abandons the testimonies of the witnesses as unreliable. In the case of Jewish transports from Hungary, Pressac made use of one of my arguments, which I had already made a long time ago; this was based upon a problem, which could not be solved at that time but could be explained subsequently. Pressac accepts the number of about 438,000 deported Hungarian Jews between May and July 1944, but he thinks that only between 160,000 and 240,000 of these actually arrived in Auschwitz. He can unfortunately not explain where the remaining 198,000 to 278,000 went. Regarding the number of deaths among registered inmates, Pressac accepts for 1942 and 1943 the data of the death books, uses for 1944 the numbers of Klari Weiß, and determines for the period from January 1 to 18, 1945, a number - certainly too high - of 1,500 dead, and posits for the period from May 1940 to the end of 1941 a number of victims of 11,988. He adds to this 15,000 Soviet POW's and 20,000 gypsies and arrives at a total of 161,000 dead. Since the number deceased among the gypsies is already included in the death books, 20,000 have to be deducted from Pressac's total, resulting in a total of 141,000 dead, which is approximately identical with the figure I quoted in this article. The weak point of the revision undertaken by Pressac is primarily the number of the Hungarian Jews sent to Auschwitz. (That the number of deported Hungarian Jews quoted by Piper is actually very inflated can be assumed as certain). There is no doubt that several transports with Hungarian Jews were sent to Austria (Straßhof and Gänserndorf), to Bergen-Belsen, to Latvia and to Estonia; further transports did probably arrive in Plaszow and Cracow without an intermediate stop in Auschwitz. Still, according to today's knowledge, the numbers as listed by Pressac cannot be proven with documents. From a statistical point of view, future additional revisions of the deportees to Auschwitz will depend first of all on new findings about the deportations of Hungarian Jews to other places than Auschwitz. In May 2002, Fritjof Meyer revised the number of victims even more radically than Pressac, and not only with reference to the new reduction of the number (he mentions 510,000 perished inmates in Auschwitz, of these 356,000 allegedly gassed), but especially with regards to the method. Meyer's procedure is barely veiled revisionism. He approaches his issue not from a statistical, but from a technical point of view: His drastic reduction of the number of victims as quoted by Piper is based primarily on technical criteria, namely the capacity of the cremation ovens of Auschwitz-Birkenau. I indicated in an earlier article that Meyer's choosing of this criterion is unassailable, but he uses it incorrectly, because the technical data, which he accepts is not in accordance with reality. Nevertheless, F. Meyer dealt two deadly blows to official historiography, first by accepting the technical method of revisionists, concluding from it that no historic basis exists for the thesis of mass gassings, and second because any reduction of the number of Auschwitz victims lower than the number of missing inmates means de facto that a corresponding number of non-employable inmates were transferred from Auschwitz to other places. By using the number of 356,000 gassed Jews in Auschwitz, as quoted by F. Meyer, one arrives at the conclusion that (611,000 - 356,000 =) 255,000 non-employable Jews left the camp alive and were transferred somewhere else. In this case, Auschwitz certainly could not have functioned as an extermination camp for all non-employable Jews deported to this camp, and this key argument of the official history collapses in itself. Translated from the Italian by Jürgen Graf. Verlag Staatliches Museum in Oświęcim, 1993. The following page numbers in parentheses refer to this work. See C. Mattogno, "Die Deportation ungarischer Juden von Mai bis Juli 1944. Eine provisorische Bilanz", in: VffG, 5(4) (2001), p. 389. For this see my study "Sonderbehandlung" ad Auschwitz. Genesi e significato, Edizioni di Ar, Padua 2001, p. 42f. Soon to be published as Special Treatment in Auschwitz, Theses & Dissertations Press, Chicago, 2004. M. Gilbert, Endlösung. Die Vertreibung und Vernichtung der Juden. Ein Atlas. Rowohlt Verlag, Reinbek bei Hamburg 1995, pp. 100, 105. D. Czech, Kalendarium der Ereignisse im Konzentrationslager Auschwitz-Birkenau 1939-1945, Rowohlt, Reinbek 1989, p. 335. D. Czech claims that this transport was received on November 8, 1942, coming "from the ghettos of the so-called administrative district Zichenau." Auschwitz in den Augen der SS, Staatliches Museum Auschwitz-Birkenau 1997, p. 164. Regarding the actual meaning of this term see my study "Sonderbehandlung" ad Auschwitz. Genesi e significato, op. cit. (note ), pp. 101-116. Auschwitz in den Augen der SS, op. cit. (note ), p. 164. D. Czech, op. cit. (note ), p. 416. See my article "Das Ghetto von Lodz in der Holocaust-Propaganda" in Vierteljahreshefte für freie Geschichtsforschung, 2(1) (2003), pp. 30-36; an English will soon appear in The Revisionist. S. Klarsfeld, Le mémorial de la déportation des Juifs de France. Edité et publié par Beate et Serge Klarsfeld, Paris 1978. Ibid., p. 13 (my page numbers; the book has no pagination). L. Picciotto Fargion, Il libro della memoria. Gli Ebrei deportati dall'Italia (1943-1945). Mursia, Milano 1991, pp. 62f. Terezínská Pamĕtní Kniha. Terezínská Iniziativa, Melantrich 1995, pp. 67-73 (transport list). D. Czech, op. cit. (note ), pp. 488, 493. S. Klarsfeld, M. Steinberg, Mémorial de la déportation des Juifs de Belgique. The Beate Klarsfeld Foundation, New York 1994, p. 13. L. Picciotto Fargion, op. cit. (note ), pp. 26, 32. The transfers took place on the following days: 22.5.1942, 30.6, 6.10, 21.10, 24.10, 24.10, 24.10, 25.10, 8.11, 26.6.1943, 1.7, 8.7, 11.7, 23.10, 17.12, 12.1.1944, 16.4, 29.4, 13.5, 29.7, 11.8, 22.8, 29.8, 11.10, 2.11. These transfers also included non-Jews. D. Czech, op. cit. (note ), p. 842. Ibid., p. 774. M. Kunicka-Wyrzykowska, Kalendarium obozu płaszowskiego 1942-1945, in: Biuletyn Głównej Komisji Badania Zbrodni Hitlerowskich w Polsce, XXXI, 1982, p. 68 (transport of 1,400 Jewesses). C. Mattogno, op. cit. (note ), p. 385. APMO, Stärkemeldung, D-AuII-3a, p. 53a. A. Strzelecki, Endphase des KL Auschwitz. Verlag Staatliches Museum Auschwitz-Birkenau 1995, p. 352. This figure results from a study of mine about Jews transferred to Auschwitz überstellten Juden, which will appear in a later issue of The Revisionist. All these documents record deceased inmates in one way or another. First, a dead inmate would be listed as such in the "Stärkebuch" as a reduction of the camp's total inmate number. Next, this inmate would appear in the "Sterbebuch" or "Totenbuch," which lists all deceased inmates. The "Leichenhallenbuch" lists inmates as they are delivered and stored in a morgue before cremation. Death certificates, finally, are prepared by doctors and German registar officials confirming the death and determining the reason of death for legal and general administrative purposes. Theoretically, each dead inmate should be mentioned in all of these documents. But since all of these documentations are fragmentary, they are often used for extrapolations to fill the gaps in the documentation. The editor. T. Grotum, J. Parcer, EDV-gestützte Auswertung der Sterbeeinträge, in: Sterbebücher von Auschwitz, edited by the State Museum Auschwitz-Birkenau, K.G.Saur; Munich/New Providence/London/Paris 1995, vol. I, p. 247. AGK, NTN, 131, p. 186. In the first edition of his book (Auschwitz. Wieviele Juden, Polen, Zigeuner... wurden umgebracht. Universitas, Krakau 1992, p. 45). F. Piper states that the Auschwitz Museum has three different calculationsof the inmates transferred from Auschwitz in 1944 and 1945: the first is from A. Strzelecki (187,820 inmates), the second from L. Krysta (182,000 inmates), the third from S. Iwaszko (225,000 inmates). The third is closest to reality. AGK, NTN, 134, pp. 282 and 287. Verdict of the Höß trial (April 2, 1947). AGK, NTN, 146z, pp. 3, 6 and 29. J. Sehn, Oświęcim-Brzezinka (Auschwitz-Birkenau) Concentration camp. Wydawnictwo prawnicze, Warsaw 1961, p. 40. F. Piper, Extermination, in: J. Buszko (ed. ), Auschwitz (Oświęcim) Camp hitlérien d'extermination, Editions Interpress, Warsaw 1978, p. 134. C. Mattogno, op. cit. (note , pp. 67-73; C. Mattogno, J. Graf, Treblinka. Vernichtungslager oder Durchgangslager? Castle Hill Publishers, Hastings 2002, pp. 312-315. This book will soon be published in English as Treblinka. Extermination Camp or Transit Camp?, Theses & Dissertations Press, Chicago 2003. J.-C. Pressac, Die Krematorien von Auschwitz. Die Technik des Massenmordes, Piper Verlag, Munich-Zürich 1994, p. 202. C. Mattogno, op. cit. (note ), pp. 381f. J.-C. Pressac, op. cit. (note ), pp. 200f. Ibid., pp. 195 and 202. C. Mattogno, op. cit. (note ), p. 387. See my article "Auschwitz. Fritjof Meyer's New Revisions", TR 1(1) (2003), pp. 30-37. Source: The Revisionist 1(4) (2003), pp. 393-399.